These presentation slides 45099 are complete compatible with Google Slides. Simple download PPTX and open the template in Google Slides. 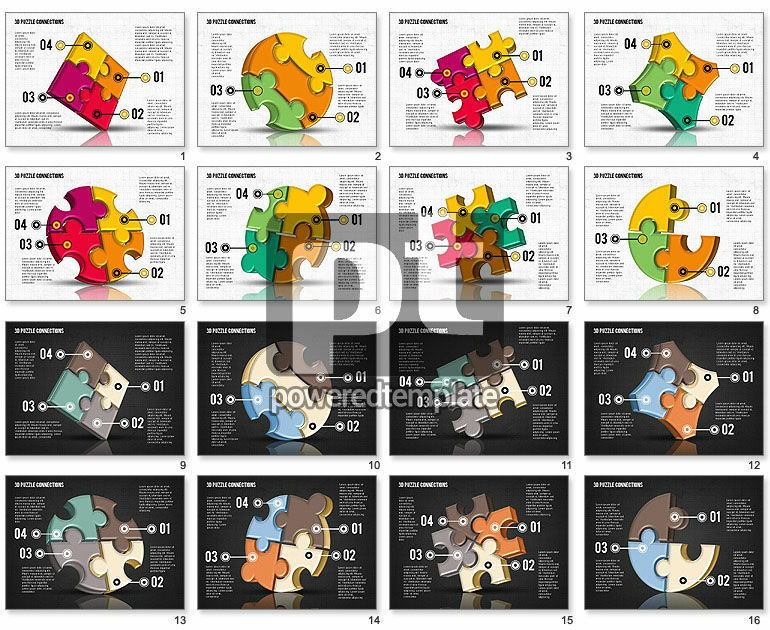 This extraordinary cool 3D template is created with colorful puzzles and related to solving problems, finding, solutions, reaching goals, guessing riddles and bright ideas. There are different figures made from colorful pieces of puzzle with two background color solutions, the whole set is bright and beautiful. Be sure that your audience will be positively surprised with such a bright theme.